Emmi loves singing Taylor Swift songs! Singing has been scientifically proven to make you happier and improve your mood! Our private voice teachers primarily focus on popular music and musical theater songs. If you have always wanted to be a better rock, pop, country, jazz, gospel, opera, classical, theater, or R&B singer, then we have the right voice teachers for you! Voice students spend time each week doing physical exercises to improve their vocal range, ear training, breath control, vibrato, tone production, enunciation and more. 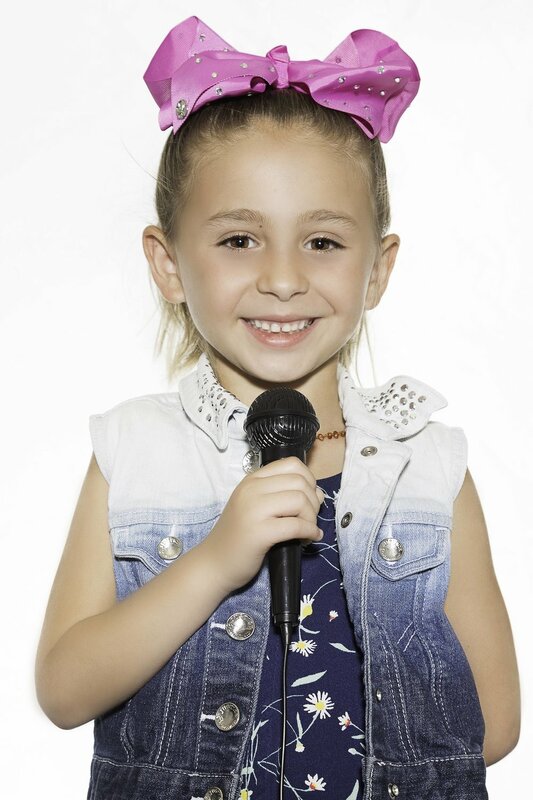 All voice students set goals with their teacher to work on sounding like their favorite recording artists, preparing for a theater audition, or if they prefer, to develop their own unique voice. We specialize in bringing individual one on one attention and giving voice training to kids from as young as 4 up to age 80! At United Conservatory we believe that everyone has talent and we bring the best instructors from all central valley to give you the quality education you seek. Try a lesson and find out why we've been voted one of the best music schools in Fresno!